Oh boy, Eminem has responded to Machine Gun Kelly’s diss track. 28-year-old Kelly, who’s credited Marshall Mathers as the original inspiration behind his own hip-hop writings, recently sent for the veteran rapper in the song Rap Devil, a nod to Eminem’s Rap God. The feud between Kelly and Slim began way back in 2012 when Kelly tweeted about Eminem’s daughter, Hailie, being ‘hot as f*ck.’ Kelly also claimed Eminem banned him from appearing on his Shade 45 channel. Now, Eminem has fired back… just not in a song. Kamikaze seems to have taken the world by storm, and has even been considered Slim’s best album in a decade, with the album quickly working its way towards the top of the Official UK Albums Chart. In an interview with Sway, Eminem said he wants to ‘destroy’ MGK but doesn’t want to give the young rapper any more publicity. He called the beef ‘f*cking weird’ and is wary of responding as it will lead to more beef with ‘every f*cking body’ he sent for in Kamikaze. 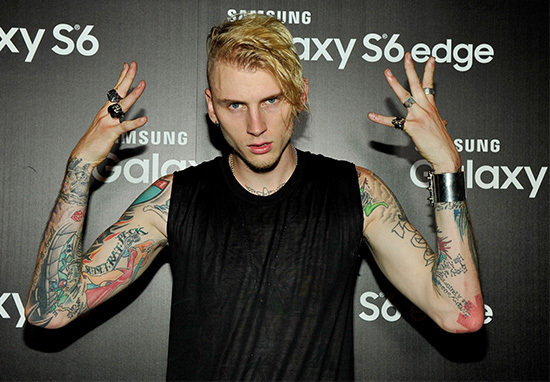 Oh and how MGK should ‘shut the f*ck up’. 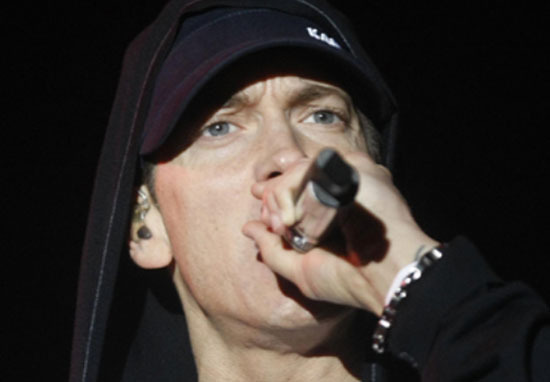 The surprise album is Eminem’s ninth consecutive number one album, and beat the current record which he held alongside ABBA and Led Zeppelin, who have eight consecutive number one albums each.